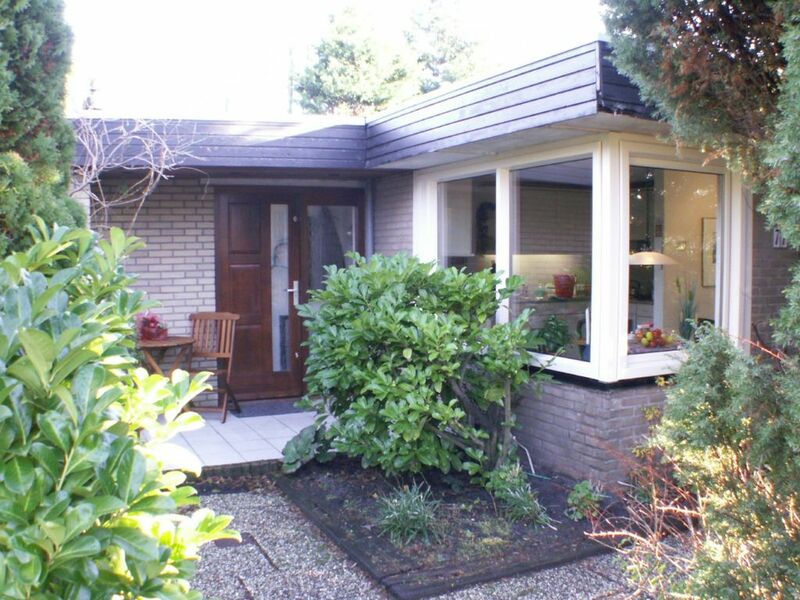 Freestanding, tasteful bungalows (70 m²) with advanced facilities to max. 4 people, big property (300 sqm) and a spacious sun terrace (35 m²) with garden furniture. Four ½ Stars, tested according to criteria ANWB Netherlands in the spring of 2008. Dining area, spacious living room with generous glazing, open fireplace, 2 color TV (satellite), cable, DVD player and stereo with various CD's. Two small bedrooms with fitted wardrobes. A bedroom with double bed (160 x 200 cm). New mattresses and adjustable bed bases. One bedroom with pull-out bed 80 x 210 cm (double bed 160 x 210 cm). There is a second flat screen TV. Approximately 20 km south of Alkmaar is a typical Dutch town with old houses, canals, and good shopping. A somewhat mondänerer place to stroll is set in beautiful mountains inland dunes. Den Helder as a port city located about 20 km north of St. Maartenszee. From here you can reach z. B. Texel by ferry. Approximately 12 km to the northeast lies Schagen with a large indoor shopping center in the middle of a North Dutch town with several cafes and restaurants around the church. St. Maartenszee as a quiet starting point offers you a great variety of activities and leisure activities in the vicinity, not to mention are bike paths that invite you to active holidays, but also wonderful hiking opportunities are given. The bathroom is modern and comfortably furnished and come with heated floors. The house is very private equipped! Everything is there as in a private household. You need to bring anything to your personal belongings! Wi-Fi available at the entrance of the park. The house is located in a landscaped with greenery relaxing holiday park with no through traffic. To the sandy beach is about a 10 minute walk through the dunes (nudist beach). The almost endless beach is ideal for long walks by dunes and adjacent forests with small freshwater lakes. A wonderful nature reserve "The Swan" with large lake joins in and of Schagen from a popular destination for relaxation. Opposite the 'Park it Wildrijk'gibt an amusement park for children' de Goudvis' and a small row of shops. Approximately 600 meters away is a heated indoor pool with small sauna 'Campanula'. Two supermarkets (open March to October) and some restaurants are nearby. A large supermarket (Albert Heijn in Callantsoog) is open all year every day - even on Sundays - open until 22 00 clock. Every Monday in St. Maartenszee flea market on Sundays in winter.